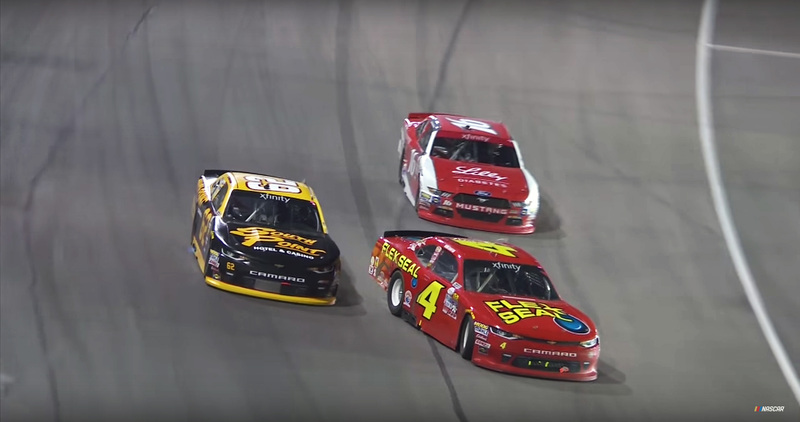 Following the NASCAR Xfinity Series event at Texas Motor Speedway we had a fight. It happened just behind victory lane. As Erik Jones was soon to pull into victory lane, a fight broke out behind the stage. In the shadows of the victory lane billboard, Gaughan was pulling Chastain from his race car. Listing to the audio below. TV only showed the retaliation. Something set Brendan Gaughan off before that. He then ran Chastain down the back straight, rubbing doors the entire length. Laps later, Chastain raced him equally as aggressive. An hour later, they were in a gang fight, of sorts. NASCAR is currently looking for tape of the incident. “When we pulled down off the track, for some reason we pulled down behind victory lane. Which probably didn’t help things. You know, it’s dark and there’s no lights back there,” Ross Chastain tells Sirius XM NASCAR Radio. I got hit in the back of the head. I’m all for arguments and stuff but that was ugly.